During the latter half of 2016 Chinese ships carried out oceanographic surveys in the waters off Luzon. The largest island in the Republic of the Philippines is both economic heartland and, spread across the rim of fabled Manila Bay, the center of government. It was only in March 2017 when Philippine authorities acknowledged these incursions on the country’s eastern seaboard. But the suspicious activities on Benham Rise, and the tepid response from Manila, do inspire fresh thoughts of a possible showdown over the South China Sea, where Beijing is fortifying seven artificial islands. A deliberate Chinese presence imposed on Benham Rise and the Philippine Sea goes beyond a violation of borders–it jeopardizes any future military alliance between Manila and Washington DC, neutralizing sea lanes and airways to Guam, Okinawa, and Hawaii. This leaves the Philippines cut off, encircled, and irrevocably doomed if its Mutual Defense Treaty with the US is never fulfilled. If fighting erupts between China and the Philippines, the former will possess inordinate advantages when prying disputed waters from Manila’s grasp. Here’s how it might pan out. The J-15 is the PLAN’s carrier-based fighter of choice. It’s a copy of the Russian Su-33, formerly known as the Su-27K, meant for deployment on Kiev-class aircraft carriers. The J-15 has a range of 3,500 km. But Filipinos should take heart; none of these scenarios are happening soon. China is an indispensable trade partner and a generous neighbor willing to finance Manila’s development projects. Yet Beijing’s aggressive territorial claims endangers the republic’s sovereignty. To begin, imagine a PLA far more capable than its current form. 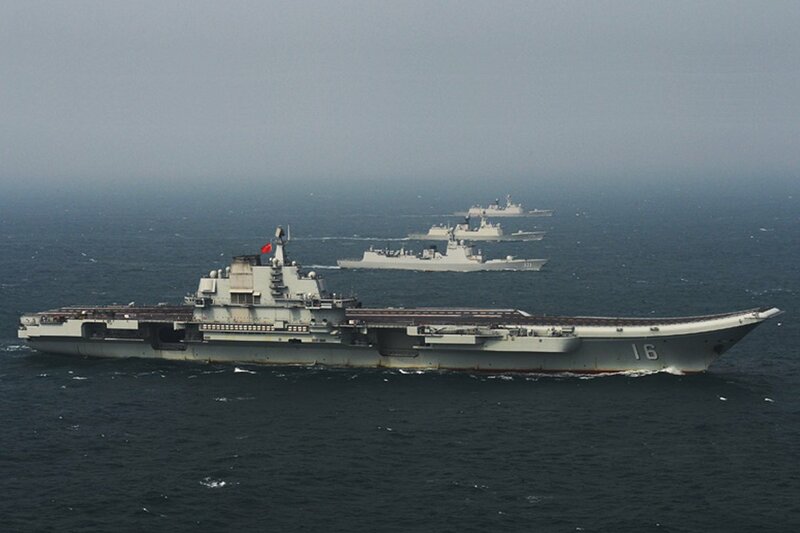 Should China double its annual military spending to afford four carrier battle groups, a large marine corps, and multiple offshore bases, then it’s in a much better position to exercise belligerence on its neighbors. In this nightmare scenario the Philippines is at the mercy of a foreign aggressor unlike anything it has faced before. The intervention of US forces, as well as punitive sanctions and diplomatic pressure on China, don’t count in these hypothetical circumstances. The ZTD-05, also known as the ZND 2000, is an amphibious light tank armed with a 105mm rifled gun. It has a top speed of 65 km/h and a range of 500 km. The ZTD-05 is capable of transporting an infantry squad. If the US Navy retreats from Southeast Asia a hawkish Chinese President may see a rare chance to fulfill his country’s “peaceful rise” using hard power. To minimize the risk of open warfare and casualties the PLAN and PLAAF hold large joint exercises off the Paracel and Spratly island groups, making sure these are broadcast to nearby states. Visible flights of long-range bombers, UAVs, and stealth aircraft inside Philippine airspace make the implicit threat very obvious. Upping the ante, Beijing invents a dispute with Manila and a carrier battle group is ordered to sail across the Mindoro Strait between the islands of Busuanga and Mindoro, the flotilla turns southward and holds air-sea demonstrations over Palawan. Chinese submarines and long-range bombers create a buffer on the Philippine Sea to block the US Navy. Another battle group arrives at the entrance of Manila Bay. Its mission is the harassment and interdiction of cargo ships and local fishing vessels while carrier-based fighters suppress air traffic throughout Southern Luzon. The specter of a siege, including J-15 flights above the capital Manila that occasionally buzz Malacañang Palace, are enough to force the Philippine government’s capitulation. China wins without a single life lost or a missile fired in anger. In another scenario China utilizes its offshore airfields and naval bases to the utmost while copying the Western interventionist playbook from the 1990s. The goal is forcing a complete surrender of Philippine sea lanes and airspace. 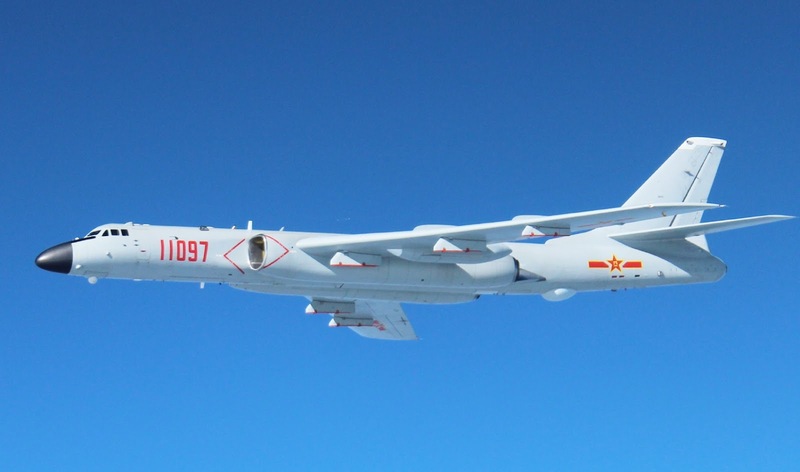 Once again using the pretext of a diplomatic row with Manila the PLAAF’s fourth and fifth-generation aircraft, along with UAVs, conduct drills violating Philippine airspace. Whether or not an incident is created, once it’s ascertained the Philippines isn’t responding or seeking help from its allies the Chinese Ministry of Foreign Affairs declares a no-fly zone over Northern Luzon and parts of the Visayas. Within 24 hours direct flights from the Philippines to mainland China are cancelled. Sanctions and export restrictions are imposed. The economic fallout is exacerbated when PLAAF J-10, J-11, and J-31 fighters taking off from the Spratly Islands appear over the Clark Freeport Zone, a transport hub on a former US airbase, to suppress its air traffic. The Philippine Air Force is left grounded when armed HALE drones begin circling bases and local airports. Lone H-6K’s and an unspecified twin engine bomber are spotted over Samar and Leyte as they trace a circuitous patrol route leading back to Southern China. ISR and electronic warfare aircraft disrupt any contact between Philippine government institutions. Whether the PLAAF and PLAN attack ground targets depends on any anti-air assets the Philippine military deploys. These are so limited at present that, unless SAMs are purchased in bulk for many years, a no-fly zone is cost-free for China. 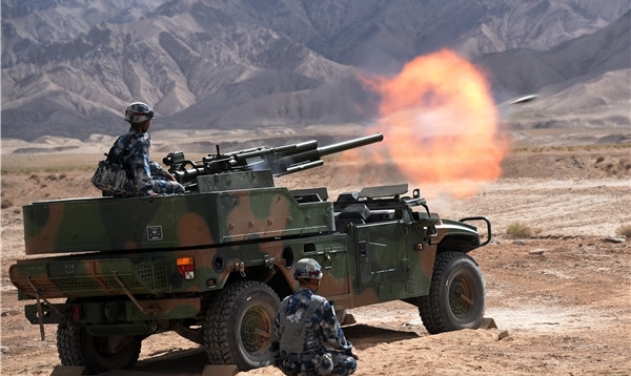 The PLA and PLA marines maintain a variety of light vehicles providing superior firepower. Pictured is a Type PCP001 self-propelled 82mm mortar. If Beijing wishes to avoid sparking World War 3 over its territorial claims perhaps the best course of action is a subtle one. Rather than stress over plans for regime change in the Philippines, money, subterfuge, and pliable local actors are the necessary ingredients. Like most developing countries the Philippines has its own legacy of coups going all the way back to Ferdinand Marcos’ overthrow in 1986. 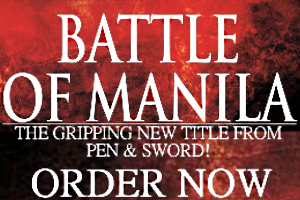 But these martial missteps never succeeded in the Philippine setting. The appeal of financing a coup in the Philippines is installing a new leadership that accommodates Beijing’s needs. Chinese agents and diplomats must find enough disaffected military officers willing to commit the deed in exchange for material rewards and promises of economic aid for their junta, should it succeed. If a coup were launched by rogue officers it’s best carried out under the guise of militant nationalism that’s hostile to Western “liberal” values. China’s state-owned media can legitimize the coup by acknowledging the rebels as the new government and giving them air time. Once they’re in power Chinese banks, along with the foreign and defense ministries, offer generous multi-billion yuan loans to incentivize a 20-year defense pact. The laziest method for punishing the Philippines is using China’s established cyberwarfare assets to target the government and its agencies. Simply visiting official web portals offers a variety of targets. Defacing websites and harvesting their data with phising schemes will cause enough of a furor to embarrass whichever administration is running the country. Disrupting power plants, utilities, factories, ISPs, banks, and corporate data centers raises the citizenry’s paranoia. The next stage is to exploit vulnerabilities in the country’s limited telecommunications infrastructure. Shutting down cell sites and going as far as sabotaging undersea fiber optic cables connecting to their landing stations in the provinces of Batangas, Cagayan, Cavite, and La Union will kill the Philippines’ internet connectivity. Blocking the populace’s access to free messaging applications, whether email, video or chat, sows further panic. Manufacturing a political scandal can be achieved by spreading disinformation on public officials, even the President and his or her cabinet, at any point of the cyber war campaign where social media remains online. The ideal outcome is to humiliate the Philippines and force concessions that benefit China. The H-6K is the PLAAF’s only long-range bomber in service. It’s recognizable for its distinctive nose, large engine intakes, and the hardpoints on each of its wings for carrying anti-ship missiles. The original H-6 was a licensed copy of the Soviet-era Tu-16. Openly declaring war on the Philippines is the riskiest option for Beijing. If local and international allies fail to aid Manila, however, this is possible so long as the ensuing campaign is swift and decisive. Using the same resources necessary for a no-fly zone over the Philippines the PLAAF and PLAN have to subjugate the country within a week. This is best carried out once China deploys SSBNs and next-generation bombers capable of entering hostile territory undetected. Once these assets are in position China’s superb missile arsenal comes into play. At least a hundred sea and air-launched cruise missiles shall suffice to wreck Metro Manila–the capital and its adjacent cities–along with nearby airfields, ports, power plants, and military bases. Should there be a significant US military presence within the Philippines, long-range drone strikes and ballistic missiles deployed on artificial islands can neutralize these facilities within days. 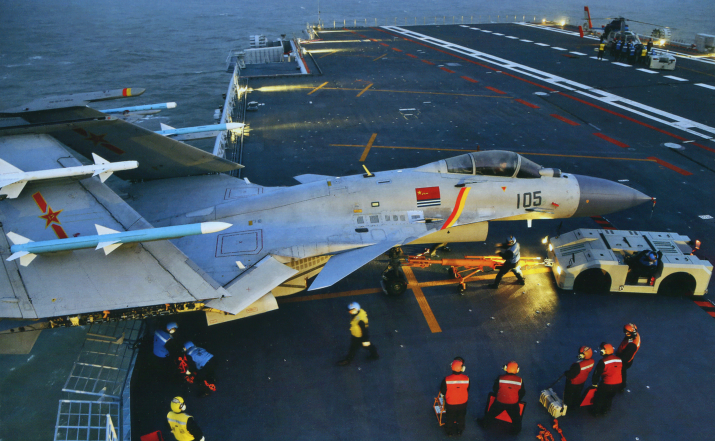 For maximum effect surgical attacks are followed by carrier-based sorties of J-15’s and stealth J-31’s. The success of the campaign depends on the Philippines’ available air defenses. The less there are, the better the outcome for China. If China were led by a President obsessed with foreign adventures then a full-blown conventional war against a weaker opponent is called for. This depends on the PLAN’s entrenchment in the South China Sea and its amphibious capabilities. If theater air defenses on artificial islands and an air umbrella covering the absurd expanse of the “nine dash line” are guaranteed, then the objective is to strengthen China’s control over the region for the long-term. This is possible by annexing Palawan, the scenic strip of island that forms a slanted bridge between Luzon and Malaysian Sabah. Using the pretext of joint exercises to mass its forces the Chinese navy and its air support, perhaps accompanied by a PLA armored brigade, position themselves for a multi-pronged assault on the island. Besides, as of this writing, Palawan’s only fortifications are one airstrip and base shared with the US. Chinese marines flown by helicopter can seize the city of Puerto Princesa in a day and then divide the island into occupied zones. A combination of fighter patrols, attack UAVs, and shore-based missiles are strong deterrents for any counter-attack while new Chinese bases and depots are erected across Palawan. The shock of Palawan’s loss can lead to the ouster of the Philippine President and further unrest. China’s acquisition of two Zubr-class landing craft from Ukraine allows the PLAN to deliver tanks and other large vehicles ashore. 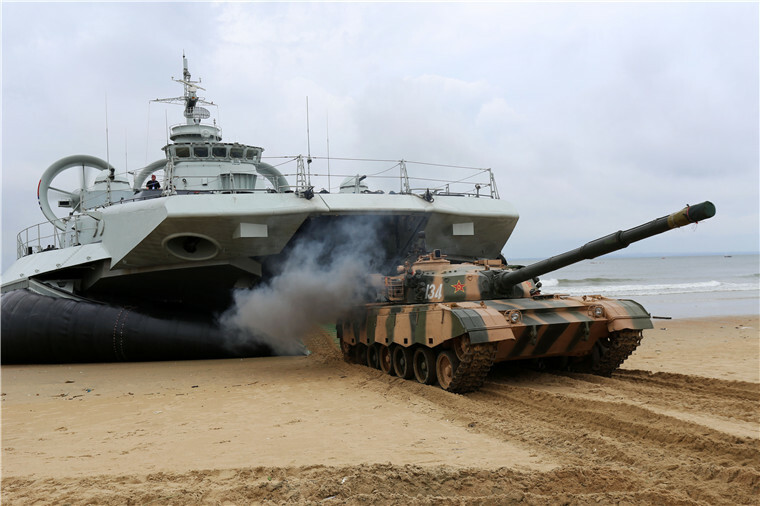 Pictured is a Type 96 MBT during amphibious exercises in 2013. China’s growing fleet of hovercraft are vital for any future conflict involving island capture. If the Philippines needs to be removed from the South China Sea equation for good, old Japanese war plans offer a few novel ideas. On December 7, 1941, Japanese bombers taking off from Formosa attacked Luzon and established air superiority within three days. By December 20 separate invasion forces landed unopposed in Lingayen Gulf, which opens a path to Central Luzon, and the equally vulnerable Davao Gulf in Mindanao. The Philippines was lost before the year was out. Repeating the same is even easier for the PLA. Provided air and missile strikes cripple the Philippine military beforehand, amphibious assault ships with heliborne marines land unopposed in Subic to secure its massive seaport. A PLAN battle group delivers a mechanized brigade safely across the Lingayen Gulf to seize Dagupan. Once the beachhead is secured by marines, convoys of Chinese armor–medium tanks, IFVs, and wheeled APCs–link up in Pampanga. The combined force takes to the roads and highways of the broad Central Luzon Plain until they reach Metro Manila’s outskirts. 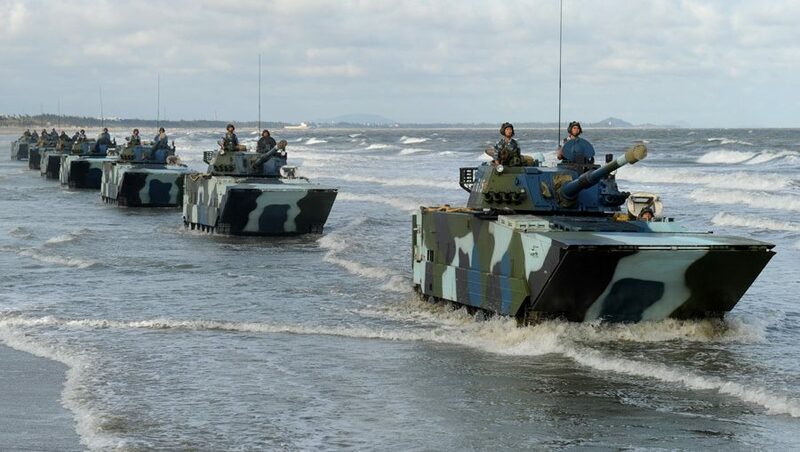 If another mechanized brigade lands on the coast of Quezon Province in the southwest to capture Infanta, the PLA further jeopardizes any Filipino counter-offensive. Quezon’s rough mountainous terrain covered in jungle will no doubt slow their progress but since the Philippine Army can’t muster sufficient mechanized forces, or even deploy close air support or anti-armor weapons, a successful encirclement of the Philippine capital from two directions is certain within 48 hours. Fearing the total collapse of the government leads to a quick surrender and the Philippine President’s resignation. Newly arrived Chinese marines are designated peacekeepers and fresh elections are scheduled in a month to elect a puppet government. It’s obvious the Philippines can’t survive an existential threat without a robust military and the support of longstanding allies. Ever since the South China Sea dispute flared anew in 2012 the vulnerable geography of the Philippines cast doubt on the nation’s future. A long view of the historical record offers little comfort. The wages of colonialism and imperialism shows that whenever a rising global power sought to consolidate its dominion over the Asian landmass, the Philippines became a target. It doesn’t help that the single institution responsible for preserving the modern Philippine state, the national armed forces, is stuck in a limbo of piecemeal modernization overseen by a vacillating political elite. If the Philippines cherishes its freedom, all likelihoods must be entertained and all contingencies prepared for. With the world’s 12th largest population (103 million and growing) and ranked between the 36th and 40th largest economies in nominal GDP, the Philippines has what it takes to protect its future. But will it?